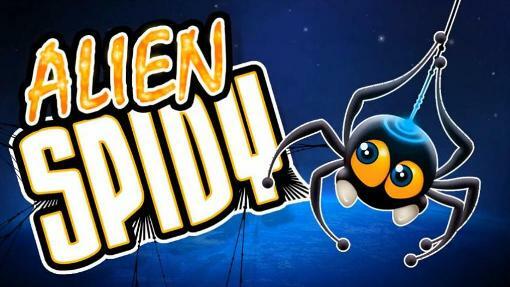 Alien Spidy is a classic platform arcade game starring a spider from the space. It is achieved through digital download for the Xbox 360. The game, initially entertaining, is lacking in depth, but younger audiences will find good moments of distraction. Our curious protagonist has a mission in the game: to rescue his companion that has finished on Earth after a space accident. The adventure consists of over 50 levels have to go completed in phases, which basically consist of finding the exits of the maze in which we run, some of which can become very demanding. These phases are not very extensive, although they found a good number of enemies and obstacles that must be overcome. How? Jumping and using most of the skills of this insect: the spider web. Furthermore, in the way we get various objects that will be useful to save situations. One of the less achieved aspects of this game is its control system, which on many occasions shown lacking in precision and actions we carry out don’t get the result expected on the screen, sometimes it is annoying. At the technical level, Alien Spidy is well resolved. Colorful, attractive designs and certainly fun soundtrack. In short, an attractive game, shallow, with a suitable difficulty and very funny moments. The basics, classics, and its aesthetic appeal make it perfect for younger and less experienced players.